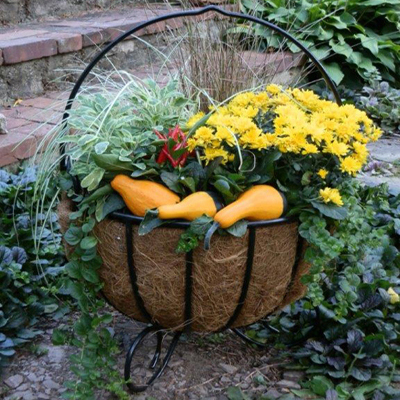 Generous deep baskets stand on the ground upon short legs. Very versatile and a terrific enhancement for your porch, patio or poolside. Handsome too, by the hearth or in the foyer. The large handles allow you to move these planters easily as well as encouraging vining plants.